With the close of Montana’s archery season under our belts and rifle season about to get underway, here’s a snapshot of life in elk camp. We wake in the dark. Headlamps switch on. Coffee heats on the stove, boots get laced, bows emerge from their cases. The reward is being at the edge of the meadow as dawn breaks. Light grows, birds begin to stir, and the day begins. Each hunt is a story. Some days there are elk. Some, not. 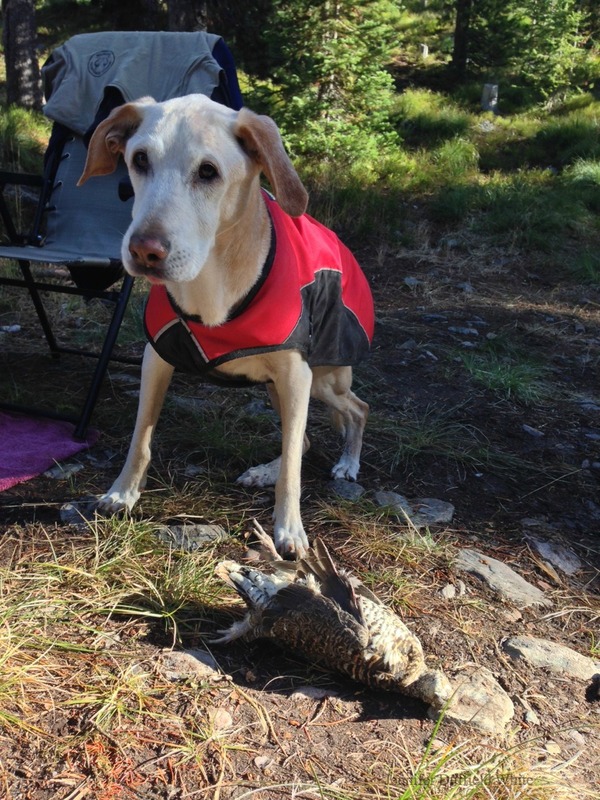 Occasionally, the old hound who guards the tent is pleased to see the hunters return with a grouse. Old hound dog awaits his wing. Afternoons: In the backcountry, it’s time for naps in the bear grass. Or if we’re at the wall tent, it’s chores, some target practice, and yes, naps. The essentials: coffee, hot water, and wood. Being out here is about learning the lay of the land, the way of the wapiti, and appreciating the nuances of this ecosystem. The burn, two years later. Archery hunting is hard, especially in this country. Hunters return to camp with stories more often than they do elk. Returning to camp with stories. Lasagna in the Dutch Oven. 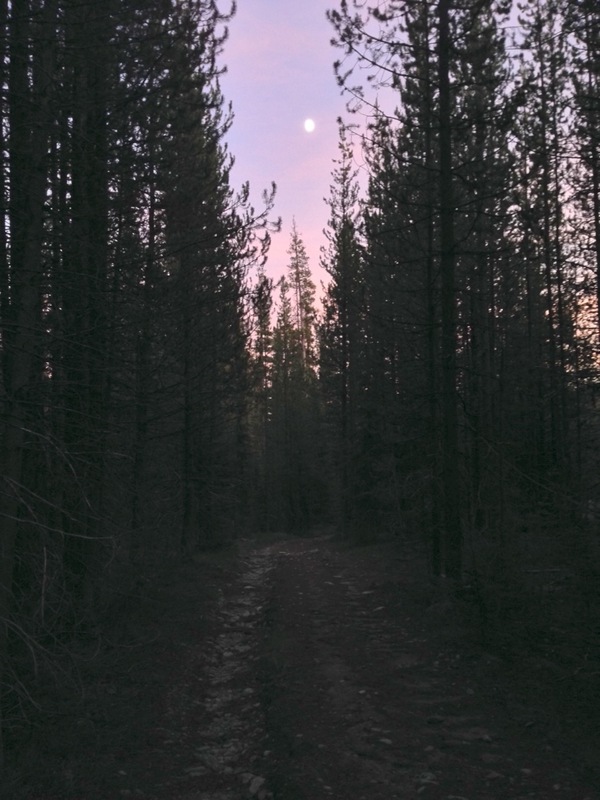 … walking in the woods as the sun trades the sky with a Hunter’s Moon. The trail leading back to camp. It’s about that cold growler of beer, listening to the coyotes bark as the fire crackles, drawing a map for the next morning’s explorations, and the sound of the stream as you fall asleep.